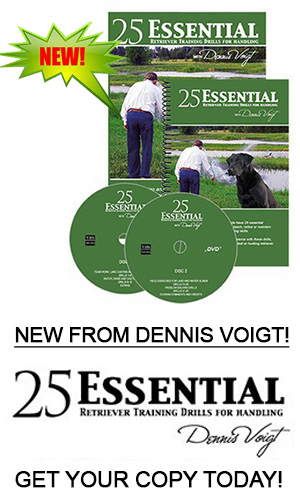 In this multi-part Collection, Part 1 and Part 2 address many of the problems you will encounter with blind retrieves and how your dog handles. In Part 1, the articles discuss handling problems with your dog such as poor whistle sits, initial lines, holding lines, not changing direction on casts, and advanced topics like the "red zone", poison birds and diversions. Problem solving drills like BB Blinds are included as well as evaluating your dog's blinds. Sit to whistle problems are commonplace-Slow sits, loopy sits, crooked sits "no" sits are discussed with procedures to tackle them in the yard and in the field. A good blind starts with a good initial line. How to get you and the dog better at achieving the initial line is discussed followed by more on how to get your dog to "hold" the line despite factors. As blinds get more Advanced, the challenge becomes to deal with difficult endings, multiple factors and distractions such as marks, poison birds and dry shots. After you can do Basic blinds you will need to tackle more Advanced concepts. How often does your dog not change direction after a cast but keep going the same way? This common problem requires some consistent intervention and often targeted exercises to solve. Here you can learn how to do both. After understanding the difference between mistakes, weaknesses and problems, you can begin to deal with them in a systematic and progressive way. This article provides a flexible recipe for you to follow. Tips on those situations when a dog doesn't respond to a "sit" whistle while running blinds. It is not always grounds for correction! Learn why overs are often poorly taken even by advanced dogs. While there are multiple reasons, one of biggest is how we train our dogs and how we lie to them much too often! Poison Birds, dry shots, sitting gunners and other diversions are commonplace in field trials. 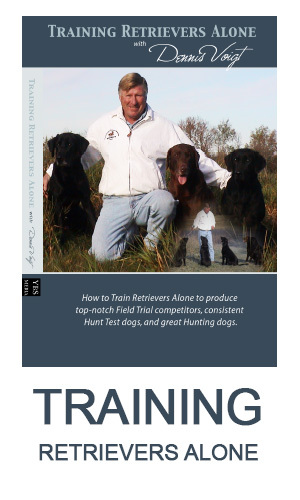 But they also provide very good "control exercises" for all handling retrievers. The article provides valuable information to improve poison birds and other "leave it" stuff. Many handling problems can be addressed by returning to the yard or simpler drills before fixing in the field. Bird Boy Blinds are an exercise that allows you to get lots of repetition in fixing a problem. They are challenging to run correctly but if you learn how to use them, they are very valuable. Discussion and tips on evaluating weaknesses in your dog's blinds with a Table of required skills and solutions for weaknesses.